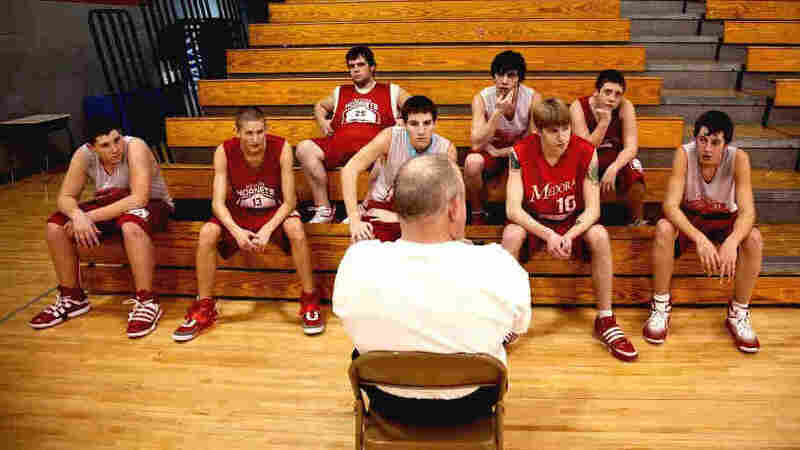 A Town, A Team, And A Dream That Just Won't Die NPR's Melissa Block talks with Davy Rothbart, co-director of the documentary Medora -- the story of a shrinking Indiana town and its hard-luck high-school basketball team. In a high-school locker room in small-town Indiana, a coach is tearing into his basketball team. The Medora Hornets have scored zero points — none at all — in the game's fourth quarter. In Medora, the hapless team becomes a kind of metaphor for the town itself — "a no-stoplight town," in the words of documentarian Davy Rothbart, one where the jobs have dried up and the population has dwindled. The voices of Medora, captured here in a conversation between Rothbart and NPR's Melissa Block, are woven throughout a film that, as Block explains on today's All Things Considered, becomes a kind of elegy for a vanishing small-town America.